µMAC-1000 is the only high sensitivity multiparametric portable analyzer in the market; it uses the well known wet chemistry methods normally used in the laboratories. The analyzer can measure any type of water samples; a wide range of applications is available, including high sensitivity methods for nutrients analysis in seawater. 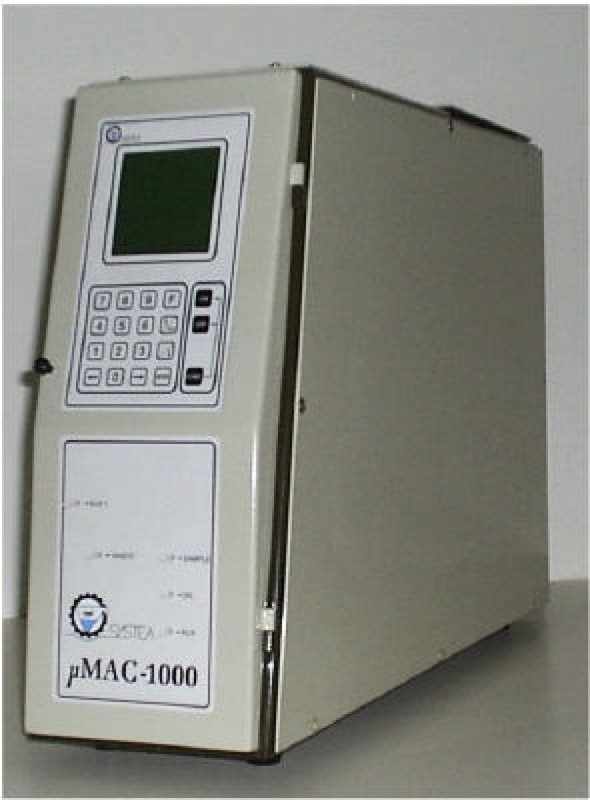 µMAC-1000 can perform very complex analytical cycles; the results are displayed in concentration units and provided through the analog or the RS-232 port. Always ready for analysis At the end of each analytical cycle the analyzer remain in stand by mode, without reagents consumption, always ready for next sample. After the factory tests, the analyser is delivered ready to be installed; start-up kit is included; it is enough to prepare the reagents, to connect the sample line, the waste and the power to start the measurement. Sample dilution The analysis can be run either on the whole sample either after dilution on operator request. Dilution mode will be automatically activated on over range samples, with a dilution factor, factory selected, up to 100. Results data storage; the analyzer can store up to 400 measuring results including date, time and optical density.